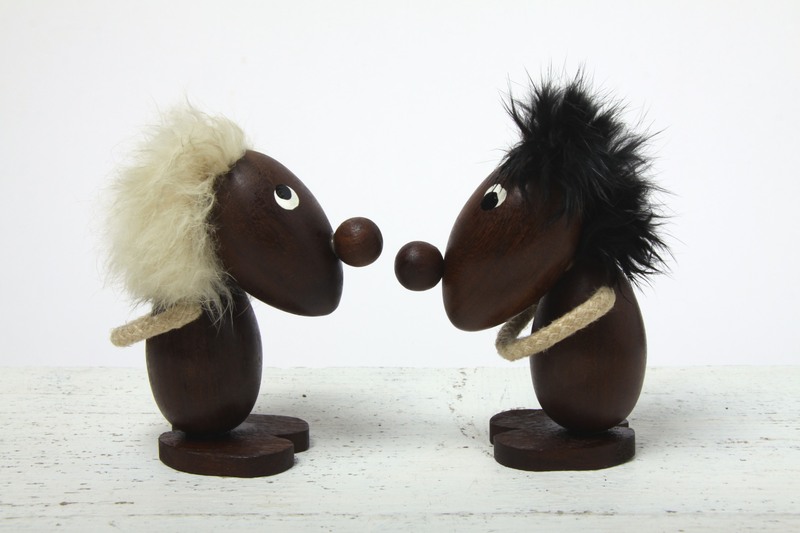 These are a Great Pair of Danish Modern Teak trolls, attributed to Hans Bolling, Denmark circa 1960’s. 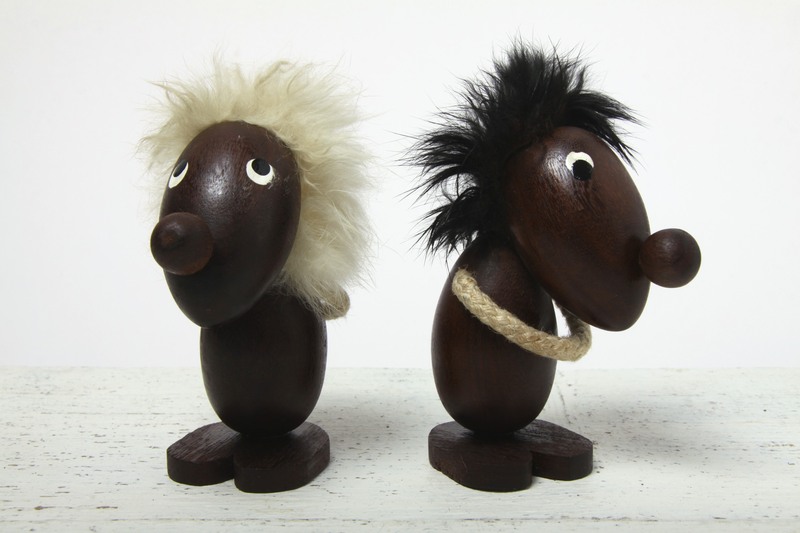 A Fantastic couple, comprising of miniature troll figurines the ‘Optimist’ and ‘Pessimist’. Both made out of teak, with rope arms and rabbit fur hair and painted eyes. Would make a Stunning addition to any Danish or Scandinavian Teak collection, and would complement any mid century modern, retro, vintage, 60’s, kitsch or contemporary interior. In Excellent Condition, some thinning of the rabbit fur hair, nothing to detract on display. Each figure measures approx 10.5 x 8 x 5cm / 4.25 x 3.25 x 2in.